Doing the same old things, same like us, dogs too usually get bored. Playing with the things day in and day out make them feel uninterested with those things and get easily bored. Sometimes this can even lead to behavioral problems in dogs. To stimulate their mental ability, you can add up a variety of games and add-on mental challenges. Throwing some mind games will help their mind to be in tip-top shape. Along with physical exercise, mental exercise is also crucial for the overall fitness of your furry pal. Get along with these tips to bring newness in your dog’s day to day life, keeping that boredom at bay. You would be bored playing with the same old toy. And, the same thing is applicable for animals. Who would love to go around with the same thing and your doggy easily get uninterested. Get your furry pal some interesting new toy to play with when he doesn’t play with the old toy or neglect it. You can even rotate a collection few toys every week to add stimulation to your dog. Your dog will get to introduce to new sights when he is introduced to new human or another dog. Moreover, they get even exposed to new scents and sounds. 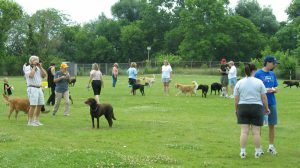 For this, dog parks are the great place for pups to make new companions. Or you can take your dog to a new dog-friendly restaurant or a new dog park/playground in your location. 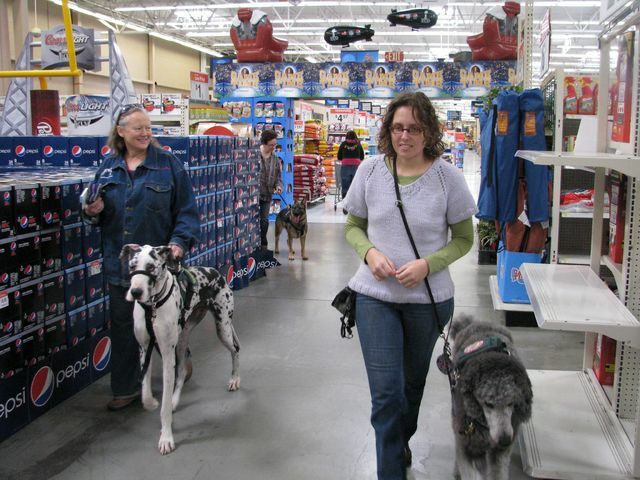 Won’t it be boring for you and your dog to run on the same errands every day. Taking your dog to a new place will stimulate the brain very efficiently. Even if it just going around another block of houses, or a short shop at your friend’s house, a trip to Walmart, or a car wash – it will make your furry pal really happy to experience new things. 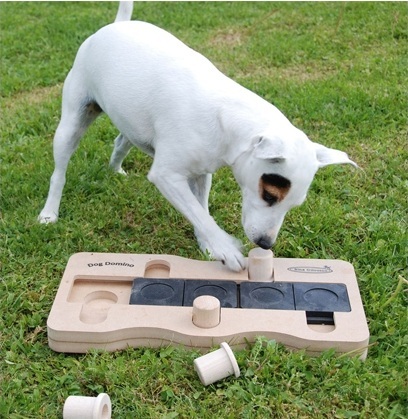 Give your dog a new challenge to stimulate their brain cells. When you are teaching a new thing, he will be exposed to new mental challenge. Just teaching a few tricks is not enough. There is always a new trick to learn. If your dog has already learned basic things, give them more challenging task such as treasure hunt or chasing a stick. 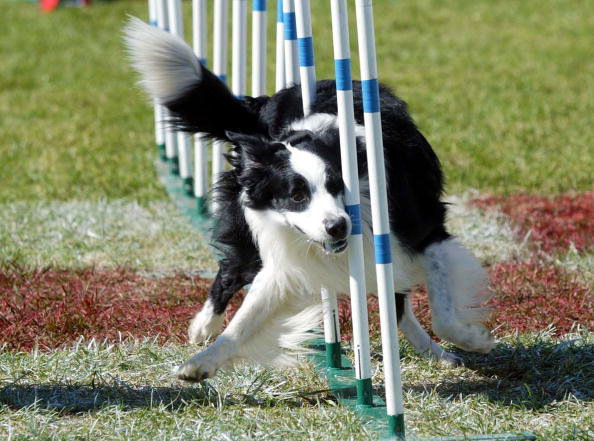 You can even try for agility training. Dog’s game world is filled with lot of wonderful things. Whether you agree or not, board games and puzzles are also available for dogs that can sharpen your pup’s mental skills. Games like Dog Dominos or Dog Memory greatly helps improves mind health. Numerous toys like Kong chewy ball allow to hide treats in them and keep your dog’s mind occupied and challenge their mental ability. Dogs feel good and love to do job given to them. The ancestors of dogs used to hunt and stayed in groups. 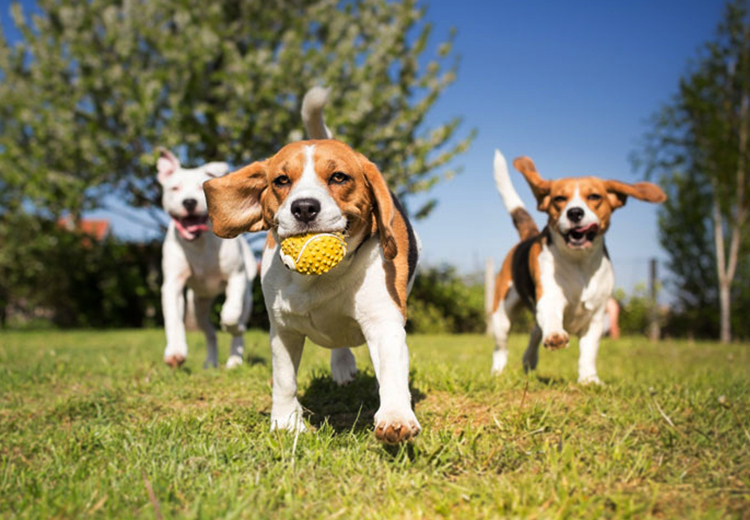 Playing games like throw and fetch or Frisbee will keep them engaged. 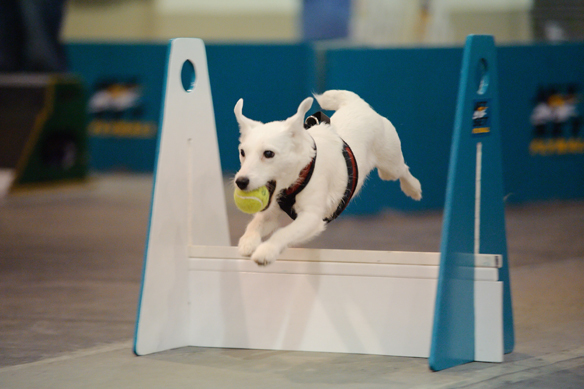 Flyball or Agility are also great for challenging your dog’s mind. Going for swims, an outing, trekking are also great mind enhancers.Next time you notice your dog seems bored or uninterested in the toys, get a look at this blog to get tips and get him out of the rut. At the end of the day, a tired, mentally challenged dog is happier and a loving companion. Next time you notice your dog seems bored or uninterested in the toys, get a look at this blog to get tips and get him out of the rut. At the end of the day, a tired, mentally challenged dog is happier and a loving companion. « Worried About Stiff Joints of Your Doggy? Try These Options Today!! !